I think Brunch is one of my favorite meals. I love the combination of breakfast and lunch food, whoever thought of this was genius. With Easter being this weekend I have been trying to figure out the perfect dish to bring to my Mom’s brunch. Every year my Mom hosts Easter Brunch and it is always fabulous filled with good food, fun and family. What more could you want? The last few years I have been contributing to my Mom’s wonderful Easter brunch spread and always look for something healthy to make. While I love brunch food and what my Mom prepares, your classic american brunch can be loaded with calories and fat. My Mom typical makes some delicious quiches, but in the past they have been filled with heavy cream, butter and lots of cheese. Recently, per my suggestion, she has been playing with the recipe to make it a little more healthy and they have turned out great. Like I do with most recipes I love, I look for a way to lighten it up! Last year I made my Blueberry Banana Steel Cut Oats, but I made them with rolled oats instead, and they were a big hit. You could make them with steel cut or rolled oats, but if you follow a low glycemic diet (lifestyle) I would use the steel cut oats. Some of my younger boy cousins, who could care less about eating healthy, LOVED the dish because it was perfectly sweet. I also made my Easy Cheesy Healthy Egg Casserole which is one of my go-to healthy meals for brunch and I love that it is secretly packed with veggies! So this year I am not exactly sure what I am making and am on a quest to find/create the perfect healthy brunch dish. For now these recipes are my top runners. I may play with the ingredients some, but they all look pretty tasty! What are some of your favorite brunch recipes? 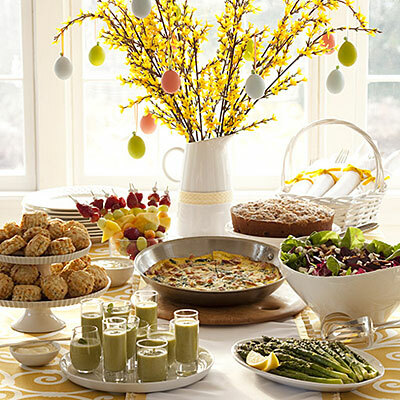 Although Easter is a time to enjoy some amazing food, there is a bigger meaning behind our Easter gatherings besides the brunch and time with your family. This article from EatLiveRun really spoke to me about the true meaning of Easter and accepting the gift of grace that God has provided us through the death of his son. This entry was posted in Faith, Food and tagged brunch, Easter, Gluten Free, healthy living, healthy recipes by find your healthy haven. Bookmark the permalink.